RhPAP Director, Linda Humphreys, loves horses. Most of all, she loves a horse named Bentley. Today, Bentley is retired. On most days, you’ll find him in a pasture west of Calgary, or with Linda, volunteering their time with the Will For Riding Foundation. 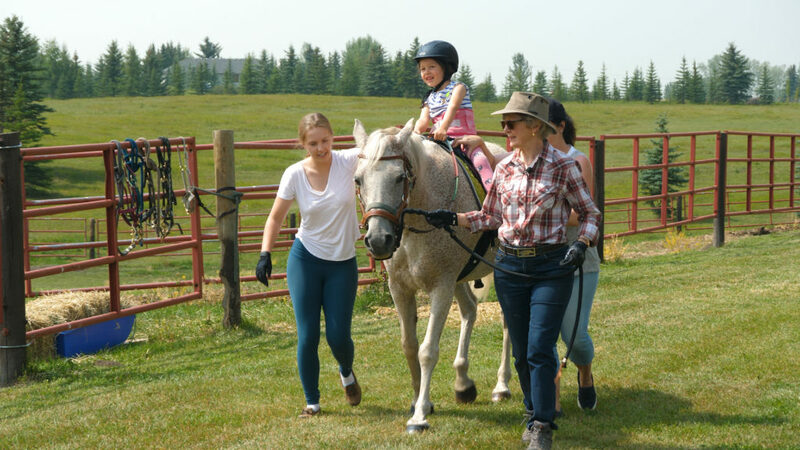 Will for Riding provides therapeutic horseback riding sessions to children with physical, mental, and sensory disabilities. 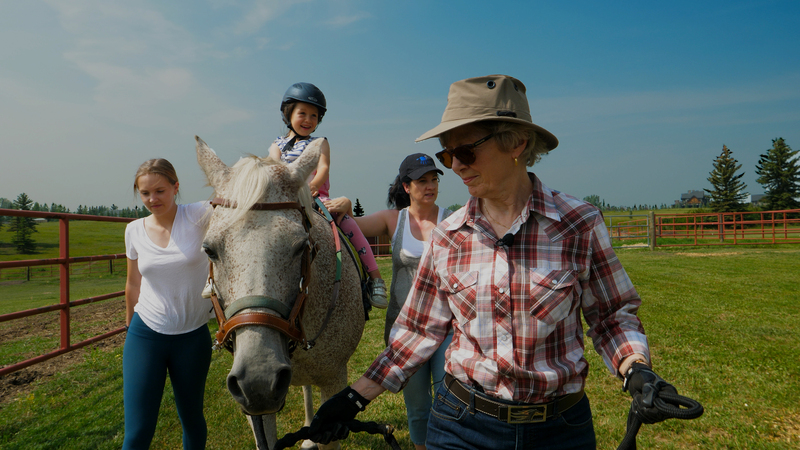 According to Linda, being on horseback provides these children with a sense of freedom, fluidity, and independence. “When you see how happy it makes the parents to see their children in that state, it’s really worth it,” she adds. There is evidence that the casting motion can be very therapeutically beneficial in the recovery from breast cancer. 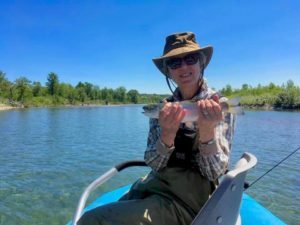 Linda is also passionate about fly fishing, and has fished around the world in locations such as Argentina, Labrador, Alaska, and New Zealand. 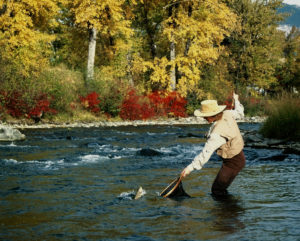 However, she still says some of the best days of her life have been spent fly fishing on streams in southern Alberta. That love of fishing was the driving force behind her initiating the Casting For Life program for breast cancer survivors in Alberta. A retired chartered professional accountant, Linda spent over two decades in senior management and executive roles in the health research sector in Alberta. Her mission was to support research that would improve the health and quality of life for both Albertans, and people around the world. Although she lives in Calgary, Linda has long had a passion for rural Alberta. Linda leads Bentley back to his pasture. With the fast pace of changes in healthcare delivery, we need to be nimble and effective at developing strategies to meet new challenges. For years, Linda used her skills as part of RhPAP’s finance and audit committee. Presently, she serves as vice chair on the RhPAP board. RhPAP Executive Director, Bernard Anderson, meets Bentley. Speaking of teams, is she an Oilers fan or a Flames fan?